Summary: HIPAA compliance is a hot topic again...and will remain that way. Find out why. 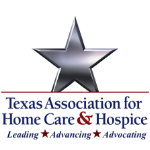 Program Description: Achieving compliance with current HIPAA’s Privacy and Security Rules continues to prove an overwhelming task for home health and hospice administrators. Policy development, employee training requirements, technical oversight and notice requirements may seem too onerous or burdensome to your daily operation. Luis Acevedo, JD, with Brooks Acevedo Attorneys at Law, has substantial experience in executive management of large healthcare corporations as well as extensive knowledge of Health Law including access, regulation, compliance, Stark Law, anti-kickback and e-health. As a former in-house counsel for Atlantis Health Care Group, Inc. he offers impressive experience in corporate, real estate and business counseling. Mr. Acevedo has used his extensive background to help health care clients resolve internal conflicts, sales and transactions, and conflicts with government agencies.